View Greeley CO Real Estate Below – Welcome to Greeley real estate where you will find all properties listed on the MLS including high end luxury homes as well as lower priced homes for first time buyers. The real estate market has had a nice upswing in activity compared to 2010 and shows signs of strengthening through the year. This is good news for those who are on the fence due to the latest economic recession. With low interest rates, I mean really low, it may be the right time to buy that new home as the Greeley real estate market starts to recover. Greeley has a beautiful year round climate that fits the lifestyles of its residents. 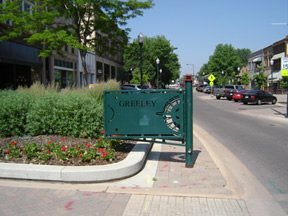 Because of Greeley’s location, the city offers a very low, year round humidity level. If you’ve ever lived near an ocean, then you know how brutal the summers and winters can be. Although Greeley is located in Colorado, the winters and summers have a dry climate. The summers don’t feel as intense as other high humidity areas and the winters give a dry cold that is much easier to manage. The town is only 60 miles away from Denver and is only 30 miles away from the base of the Rocky Mountains. With these easy commutes, Greeley truly does have a wide range of activities, jobs, and opportunities all within an hour’s drive. The city has a healthy population of around 100,000 which gives residents a small city feel along with a large enough economic backing to be successful professionally. Greeley has won several awards including rank number 37th in the nation for best place for business and career growth (Forbes Magazine) and 1st in the nation for income growth. Along with these great business awards, Greeley offers its residents a wide range of annual events celebrating the city’s talents, heritage, and history. Since Colorado is one of the fittest state’s in the nation, Greeley definitely shows its pride in this by offering its citizens access to bike trails, fitness clubs, workout centers, and public/private recreational centers. Being one of the fittest states in the nation allows Greeley residents to live a longer, more fulfilling life, while giving them some of the most breathtaking scenery that the state of Colorado has to offer within a very close drive. Greeley population is 100,000. 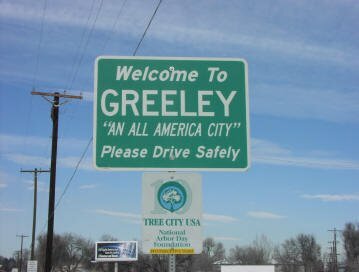 In July 2007, the population of Greeley was 90,306. Elevation (This is how high we are above sea-level) is 4,658 feet. Average High Temperature: December is 41 degrees and in July it is 89 degrees. Annual Precipitation is 13 inches. Annual snowfall is 35 inches. There are an average of 270 days of sunshine a year. It covers an area of 27.58 square miles. Its longitude is 104.37 degrees west. Its latitude is 40.25 degrees north.